What You'll Need: scriptures, GAK 611: The Bishop, GAK 604: Passing the Sacrament, GAK 614: Home Teaching, printed cards and coloring tools. One of the things that makes our church different from other churches is that each member does their part to help the Ward run. Other churches pay their Bishops and members, but Heavenly Father wants us each to serve in our own Ward to help build the church for everyone. Heavenly Fathers asks us to help by giving us CALLINGS. 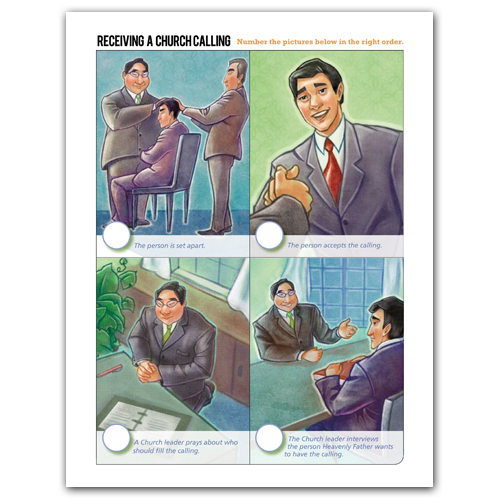 A calling is an assignment to do a certain job to help the Ward. To decide who will fill a job needed, the Bishop prays and asks Heavenly Father for direction. Then the Bishop has a meeting with the person chosen and asks if they would be willing to serve in that calling. Because we receive so many blessings and because we depend on the callings of others to make our Ward run, we should always accept callings extended to us by the Bishop. Sometimes we will be asked to serve in callings we don't think we will be good at. Or callings we don't think we want or need. But Heavenly Father knows what is best for us. Even more than we do. And He has promised that if we accept our callings and serve as hard as we can that He will bless us and guide us in that calling. In Doctrine and Covenants 4:3 it reads, "Therefore, if ye have desires to serve God ye are called to the work". That means that as long as we want to serve our Heavenly Father then He will call us to whatever calling we need. Later, in verse 7 the Lord promises, "Ask, and ye shall receive; knock, and it shall be opened unto you." That is a promise that if we accept a calling we can ask God for help and He will always tell us what needs to be done. Everyone in the church should have a calling and do their part. Our Bishop, the Primary President, Primary Teachers and Sunday School Teachers are callings we see every week. 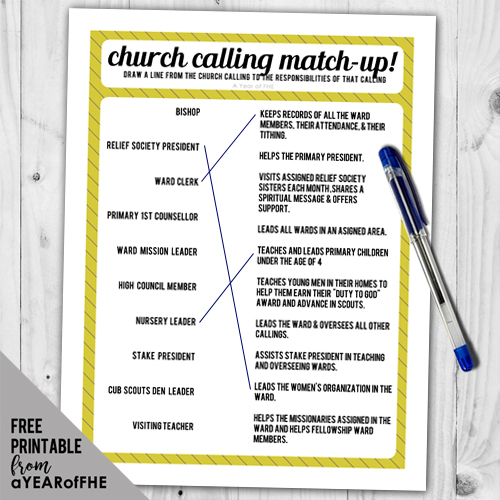 But there are also callings to print the Sacrament Mtg program, organize every one's tithing, help others do their Family History, plan Ward activities, arrange for special days for the Ward to visit the Temple and many other callings as well. You are called to serve too. Have you ever been asked to give a talk, prayer or scripture in Primary? Did you accept that call? We are told to teach one another and when you participate in primary you fill that calling for the Lord. And Heavenly Father gave you blessings for that service. We can also help the Ward by SUSTAINING our church leaders. Sustaining them means you will follow them as they do their best in their calling. We raise out hands in sacrament Meeting to say we support those called to serve, but we must do more than just raise our hand. Gordon B. Hinckley said, “...sustaining is much more than a...raising of the hand. It is a commitment to uphold, to support, to assist those who have been selected”. You can help sustain your leaders by being reverent, saying thank you and participating in Primary. Some callings are hard and take a lot of time. Each week your Primary President and her counsellors, Primary Teachers and the Music Leader work hard to make your time in primary special. We can sustain them by praying for them, thanking them often and by acting as we should in primary. Bear your testimony about the blessings that come from serving with your whole heart. You may share a time when you received a calling you were unsure about and how you came to feel about it as you served diligently and received the promised blessings. - Print double-sided onto cardstock, following your home printer's directions. - Cut down the middle at 5&1/2". - Fold over from top. - Have children color front and write a message inside. Thank you so much for this lesson! It's just what I needed for tonight. My boys have wonderful primary teachers... and one just got released so we're going to use your card and bring her a plate of cookies! Just found your web-site. One of the best FHE sites I've ever seen. Thank you so much! Thanks so much! We loved the cards! I love your site!! I am trying to download the pdf of the entire lesson but it says the file is invalid or deleted. Help please? Thank you again for a wonderful and well thought out lesson plan. Our ward experienced a lot of changes this last week with a split resulting in my son losing his primary teacher, my other son losing his favorite nursery leader (aka his Dad), and my husband becoming our new Young Men's president. 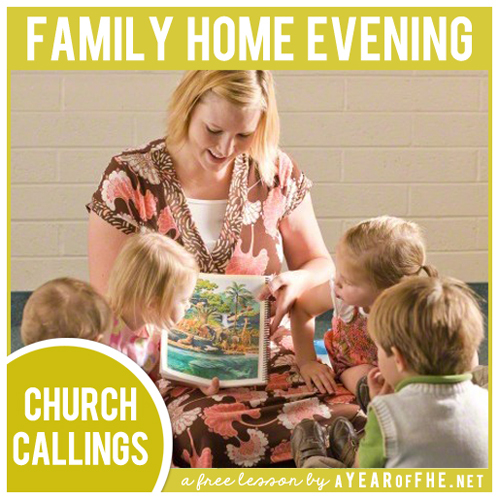 I thought at about 5:00pm that I wanted to do a lesson on callings for FHE tonight, and a quick google search led me to this lesson (I should have skipped Google and come straight here!) The lesson was perfect and exactly what I was looking for. Thank you! We're using this tonight, but I got a Not Found, Error 404 message too. 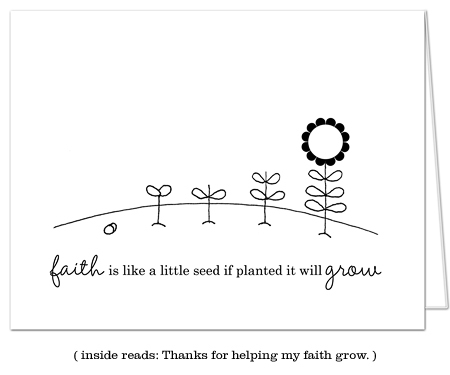 We'll just use some thank you cards I have in my stash, but thought you'd like to know the link is not working. Thanks! Thank you for this awesome lesson! It will be perfect for my Activity Day Girls Service project were doing tonight. Thanks!